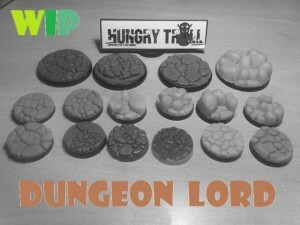 Hungry Troll has launched an Indiegogo campaign in order to fund several new lines of resin bases as well as terrain. Are you bored of your regular plastic bases? You take too much time making your bases unique? You find too expensive to resin base all your army and only few models available for the size you need? Here comes your solution by the hand of Hungry Troll, because the Troll is Hungry of your problems and is going to eat them all!